Business Insider/Jessica TylerBest Buy and the Apple Store sell similar products, but the shopping experience could not be more different. Many customers have come to expect overcrowding, long wait times, and awkward customer service interactions at the AppleStore. Best Buy has a partnership with Apple in which it sells the tech giant’s products in its stores and acts as an authorised Apple service provider. Best Buy stores also have a tech-support service that’s similar to the Genius Bar. 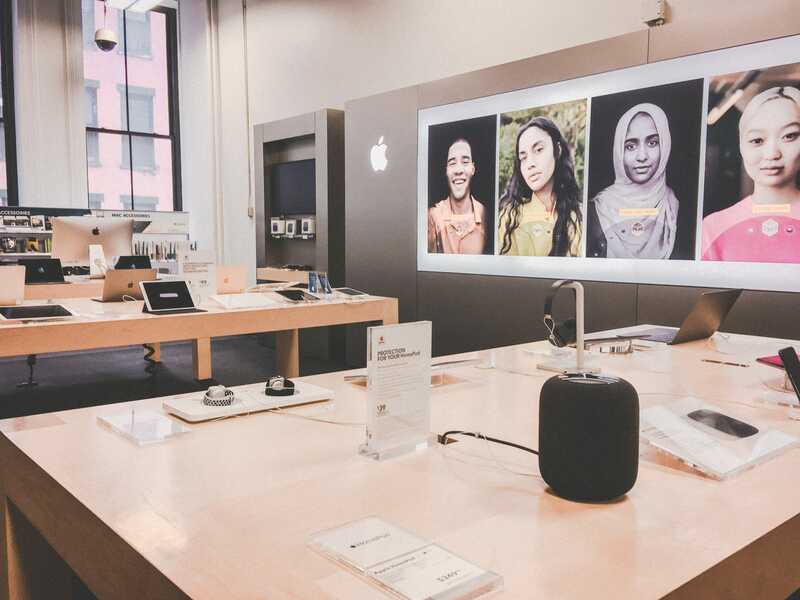 I went to an Apple Store and a Best Buy store in Downtown Manhattan to see how the experiences stacked up. 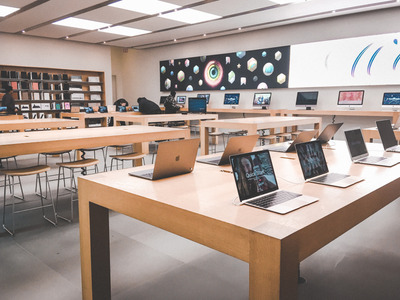 Apple Stores were originally intended to be completely different from traditional retail stores, setting Apple apart from competitors with stylish, minimalist aesthetics. Apple Stores have rules that govern everything from how employees interact with customers to the exact angle laptops should be placed in. 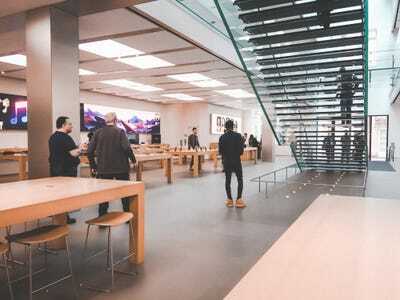 Apple retail boss Angela Ahrendts explained in 2016 that the company wants its stores to be places you go to meet people, like a gathering place or a town hall. 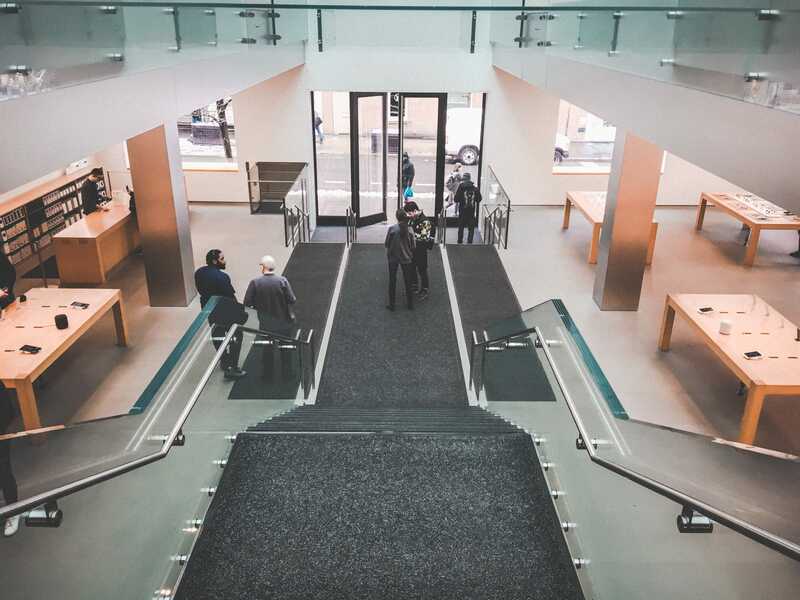 But if you’ve visited an Apple Store recently, you may have found that this idealistic vision of a town hall isn’t quite the reality. 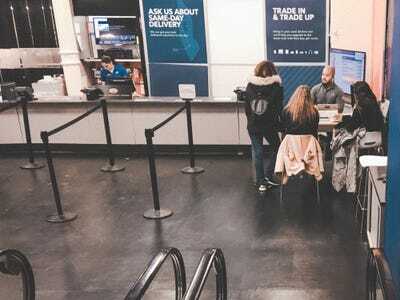 Long wait times, confusion, and overcrowding have become the norm at Apple Stores, with some customers even comparing the shopping experience to being at the DMV. 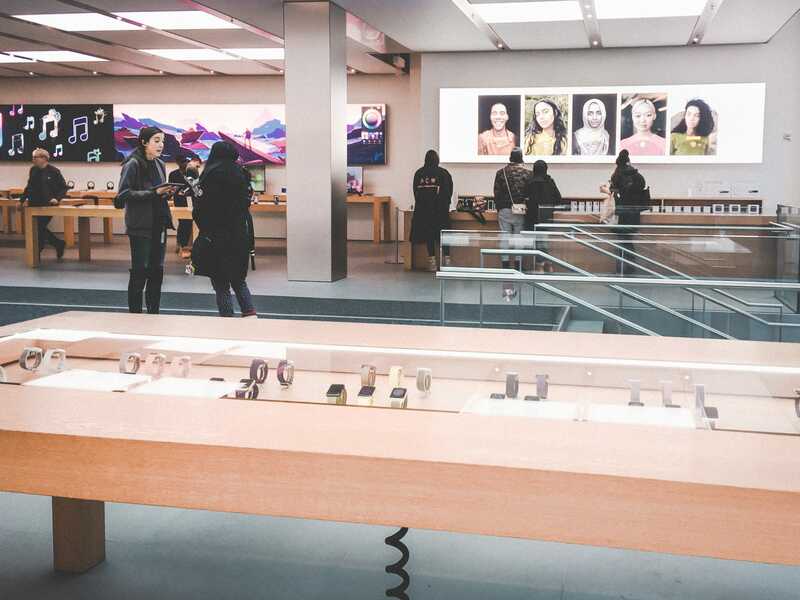 Apple isn’t the only place that provides tech support on Apple devices, nor is it the only place that sells them. 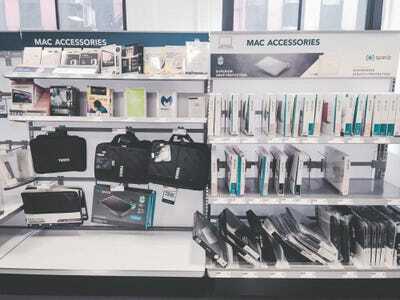 Best Buy has partnered with Apple to become an authorised service provider, in addition to creating what is essentially a mini Apple Store within Best Buy locations. 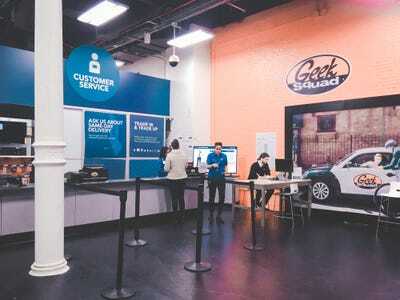 Best Buy also has its own equivalent to the Genius Bar, called the Geek Squad, which can service both Apple and non-Apple products. First, I went to the Apple Store in SoHo. I was immediately greeted by an employee who was standing by the door, directing people to different departments. The store was bright, open, and surprisingly, not very crowded — there was almost one employee per customer. Everyone working seemed to be overseeing every department, and I was approached by at least five different people in 10 minutes, asking if they could help me. When I said no, they continued to show me different products that I was standing near anyway. Everyone who was working was very friendly and helpful, but I definitely felt pressured to buy something. Even if I said I didn’t need help and just wanted to try out a product, employees would still hover next to me and try to sway me towards buying the product. Unless they initiated the conversation, I couldn’t tell who was working and who was a customer. It seemed disorganized. 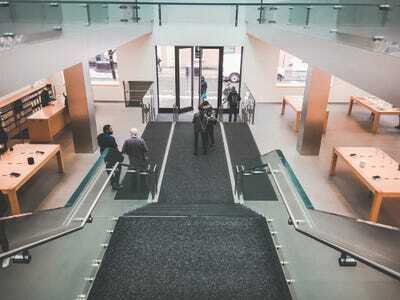 The store carried every Apple product you could think of between the two floors, and it had plenty of space for customers to try out everything before buying. The store also had a lot of accessories like phone and laptop cases, but if you had an older device, it was much harder to find a case for it. The newer the phone or laptop was, the more there was in store for it. Then I went upstairs to find the Genius Bar, where Apple handles tech support. There was someone with an iPad taking appointments. He directed the customer he was helping to sit at one of the tables and wait because there wouldn’t be a Genius available for 20 to 30 minutes. There were a lot of people waiting and a few people being helped. Everyone looked bored and unhappy to be there. 30 minutes is a relatively short wait time at the Apple Store — waits can often last hours, and sometimes appointments need to be made days in advance. Even when relatively empty, the Apple Store doesn’t feel like a place you could go just for a quick stop — even if you know what you’re looking for. 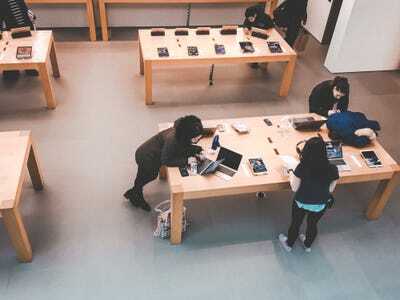 The Genius Bar moves slowly, and people are sometimes forced to wait hours. The store itself felt disorganized. 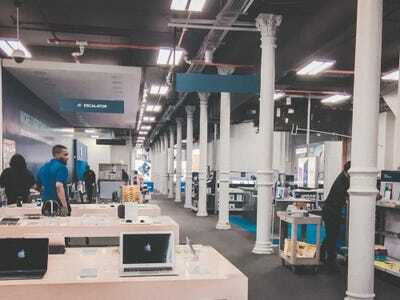 Next, I went to the Best Buy in SoHo, just minutes away from the Apple Store. It sells everything tech, from phones to TVs and gaming systems. Most of the first floor was dedicated to mobile phones and accessories. 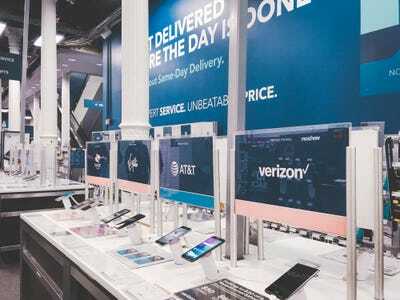 Best Buy partners with tech brands to create in-store displays that mimic, for example, the Microsoft or Apple Store. 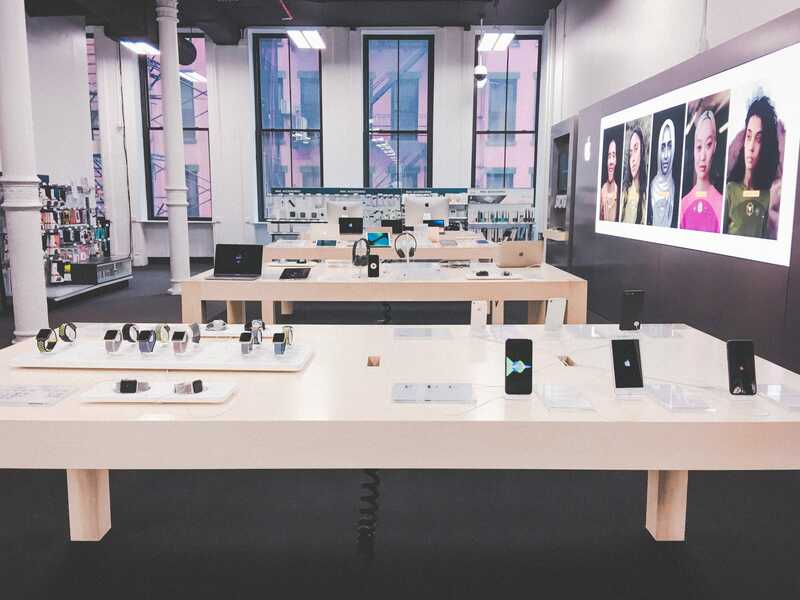 The miniature Apple Store doesn’t sell every Apple product, but it has most of them. Instead of having an individual table for each product on display, there was one or two of everything out. It was definitely easier to navigate because it was smaller, and there was less to sort through. The prices were equal to the Apple Store. 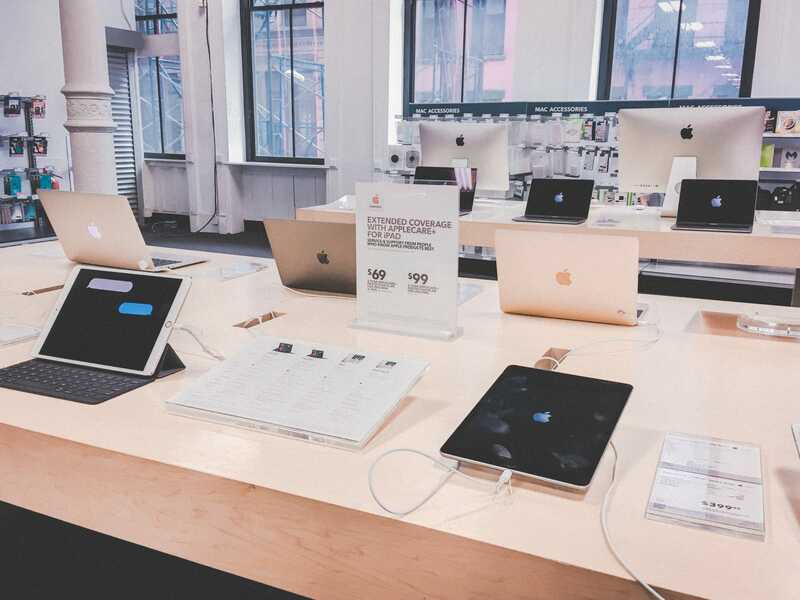 Best Buy even sells AppleCare warranties. 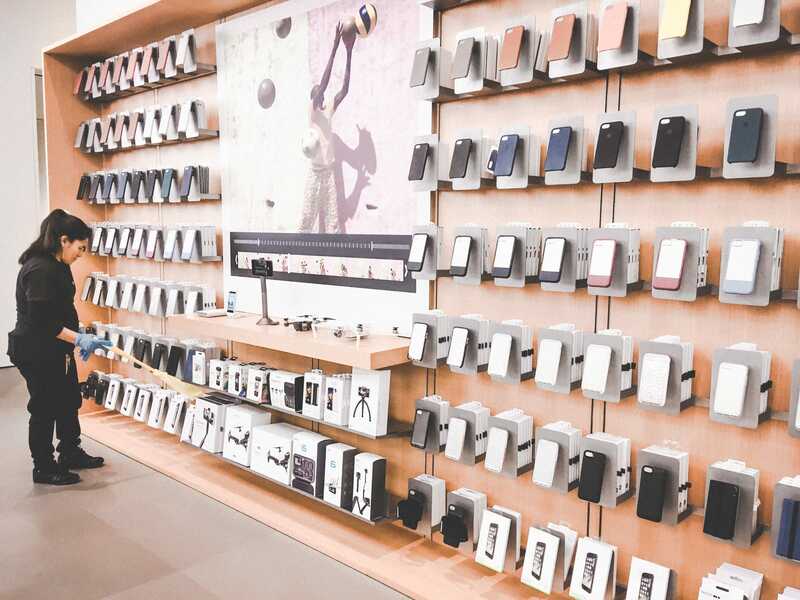 Like the Apple Store, Best Buy had a wall of phone and laptop cases. In this department, Best Buy definitely had more to offer — there were cases and accessories in the Apple section as well as in other areas of the store. 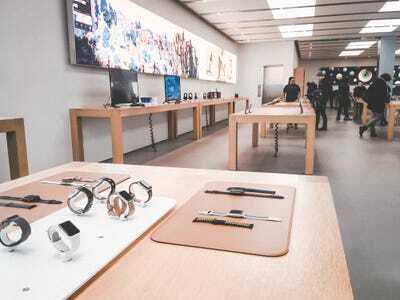 For example, at the Apple Store you can only buy an Apple-brand iPhone charger, but at Best Buy, you have a choice of Apple or any other brand that sells phone chargers. 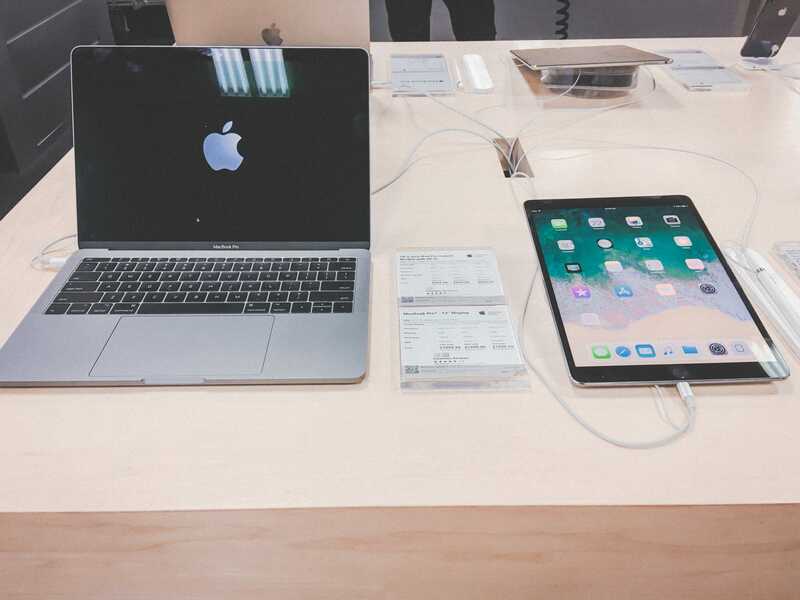 There was only one employee working in the Apple department, and he was as helpful as the employees at the Apple Store. 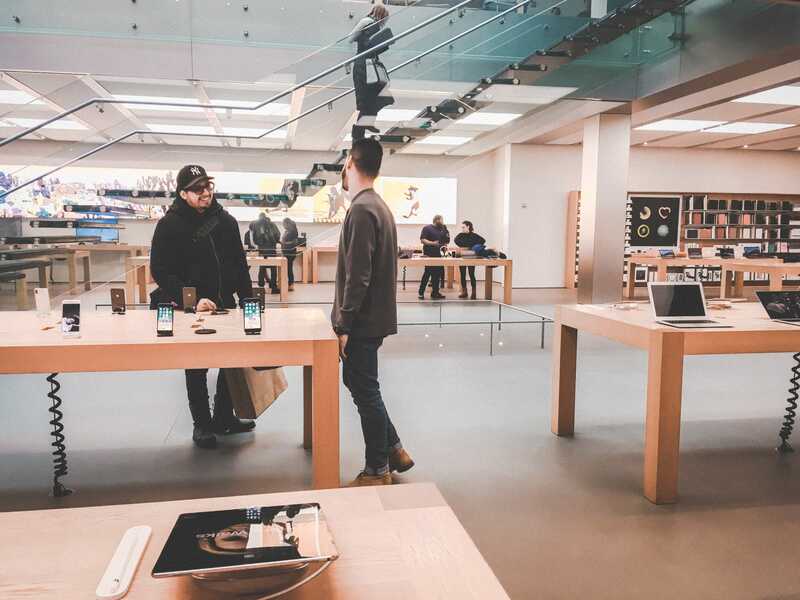 Unlike at the Apple Store, I wasn’t followed around by employees trying to sell me every product, which made me feel less pressure to buy something. It was also much less chaotic and confusing. 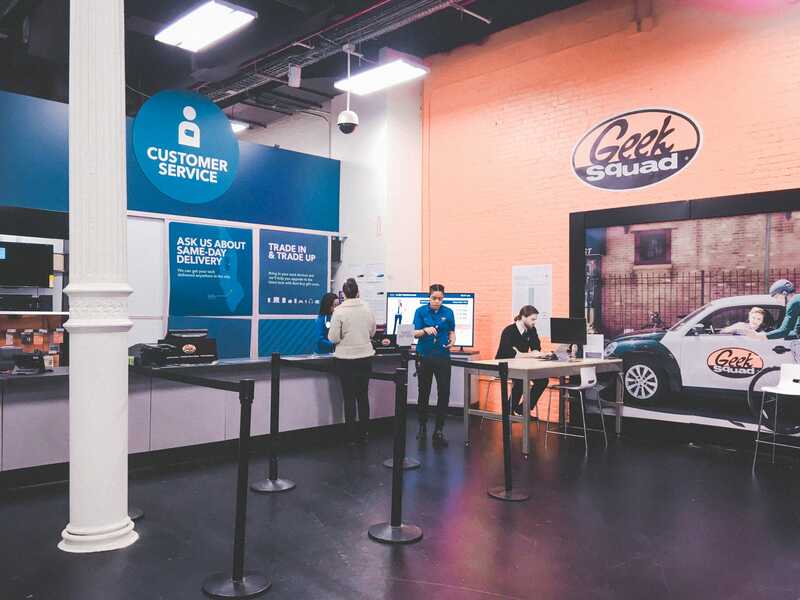 Instead of a Genius Bar, there was a customer-service center and Best Buy’s tech-support Geek Squad downstairs. 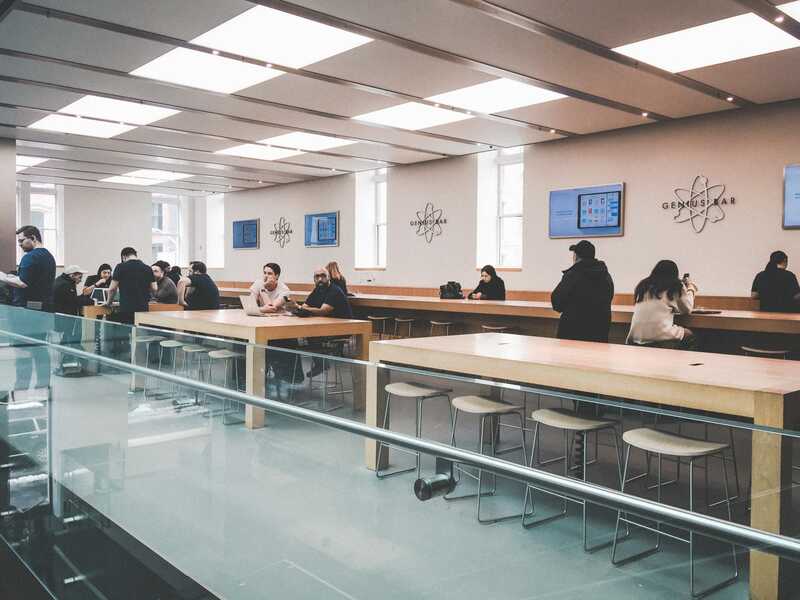 It was considerably smaller than the Genius Bar, and there weren’t as many people working there. Like at the Apple Store, there was a reservation system in place. However, it didn’t seem as necessary to make an appointment in advance, and the wait time was definitely shorter than at Apple. 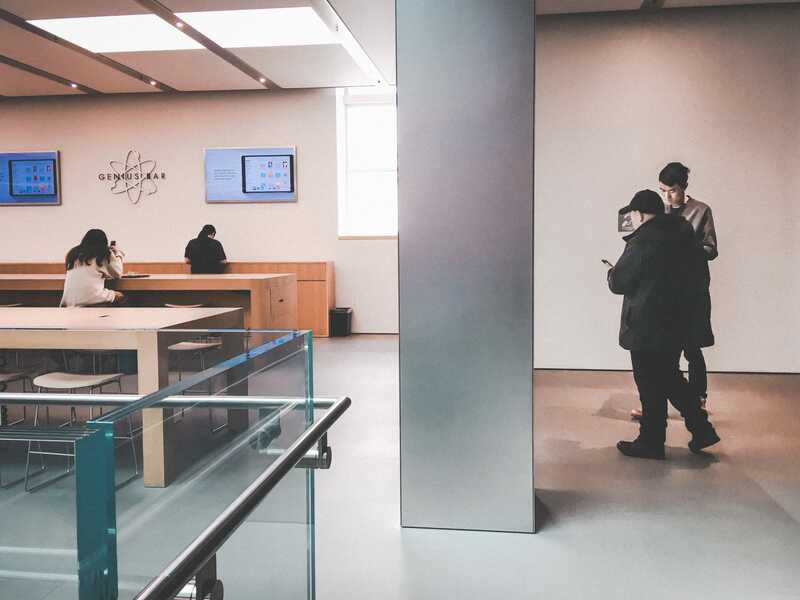 The Apple Store had a nicer environment, and it had more employees available to help, but it was almost impossible to just walk in, get the help you need, and leave. Best Buy, on the other hand, was less overwhelming, more organised, and much easier to shop in. There were fewer products on display, but the store carried other compatible brands in other departments to make up for it. It was much more straightforward to shop at Best Buy, and the long waits didn’t seem to be an issue.